Please join on April 13 at the Villa Croatia Party Center for Groovy Sixties! Tickets are only $50 each and includes dinner, open bar, dancing, and a chance to win the $1200 main board prize. Chinese auctions, silent auction, sideboards and more fun activities will be on tap. 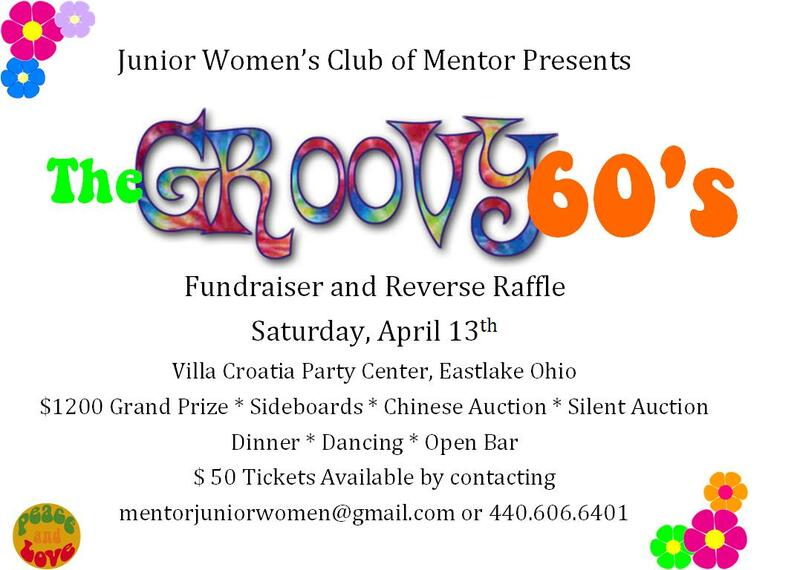 For tickets or additional information, contact us at mentorjuniorwomen@gmail.com or 440.606.6401. Error: Error validating access token: Session has expired on Friday, 12-Apr-19 13:02:18 PDT. The current time is Friday, 19-Apr-19 17:10:52 PDT.